Whether traveling for a luxury vacation or business, our Russia jet charter brokers can arrange a private flight to/from anywhere in Russia and neighboring areas in Europe. Travel to Europe using our Russia private jet charter service. Russia, the Russian Federation, is a large country located in northern Eurasia. Travelers visit Russia throughout all seasons, with June to July being the peak months for tourism as a result of warmer temperatures. While the summer months are most popular, travelers may find the weather uncomfortable to truly enjoy their experience, especially when visiting the various palaces, gardens, and parks. Ideal months to visit would be Spring (May) and Fall (September-October), when the weather is more relaxing for touring cities such as Moscow (the capital) and St. Petersburg. 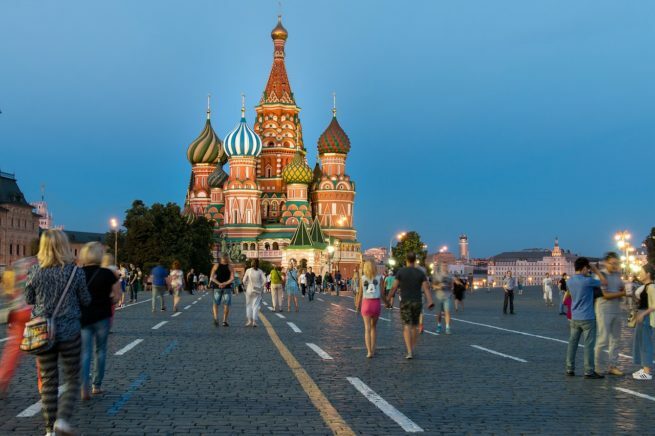 Fly privately into the destination of your choice and arrive in style when visiting Russia. Request a Quote or give us a call at 1-888-987-5387 to speak with one of our Russia private jet charter service brokers for your next luxury vacation, business trip, or special event.